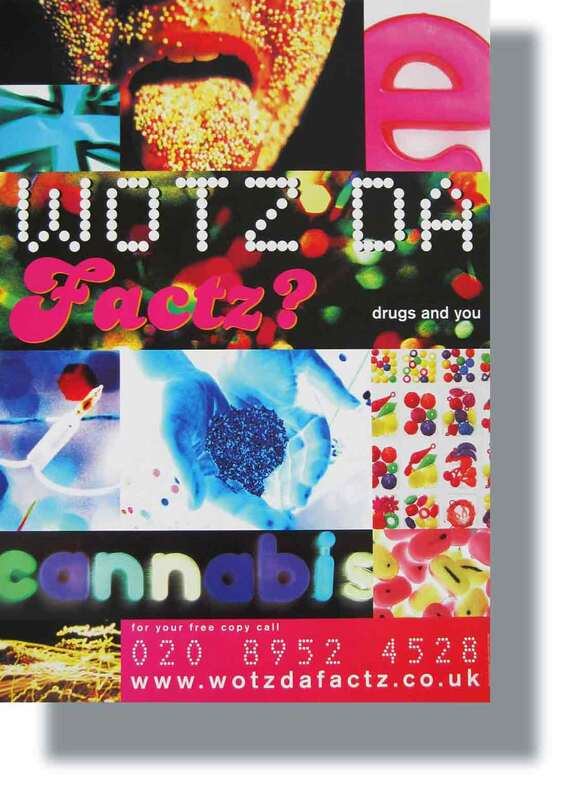 Barnet Council approached Ideology for help with a campaign to inform young people about the risks of drugs. The Council wanted a graphic poster and also a leaflet to communicate factual information. Funds were limited. Ideology came up with the idea of an eye-catching poster, printed on the reverse to double up as a pocket sized leaflet, thus achieving a major saving on production costs.